Concern for the environment has prompted a search for less polluting, more efficient energy sources. Suburban Propane offers a simple solution: a superior fuel that provides abundant, clean energy for American homes and businesses. Propane meets the standards set by the federal Clean Air Act Amendments (CAAA) for reducing acid rain and controlling air pollution in urban areas. In fact, the CAAA heralds propane as one of the solutions leading to a cleaner, healthier environment. And since propane vaporizes rapidly, it won’t contaminate soil or groundwater. 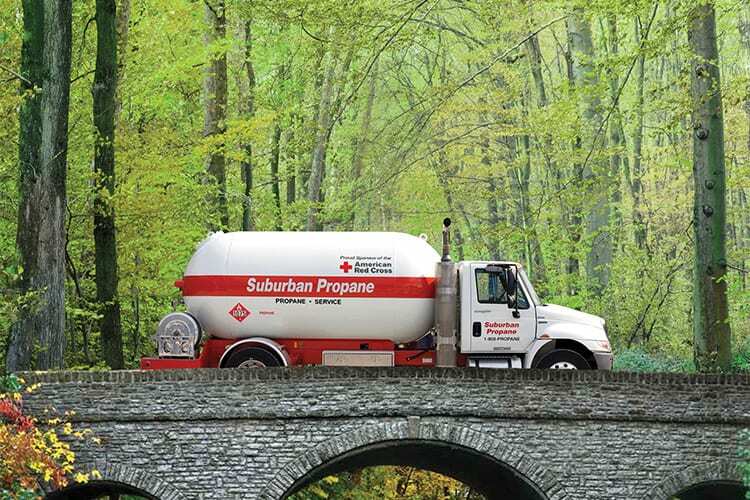 Environmentally friendly propane is the fuel of choice for many business and municipal fleets. Increasingly, park service vehicles, police cars, school buses and taxis are also converting to propane power. One reason for this choice is that the federal government has classified propane as a safe motor fuel. A propane gas tank is 20 times more puncture-resistant than a typical gasoline or diesel tank. Propane protects the indoor environment, too. Its low pollution characteristics make propane the fuel of choice for more than 300,000 forklift truck operators and other indoor industrial vehicle operators in the United States. Suburban Propane is committed to maintaining the highest levels of safety for the well-being of our employees, customers and communities. We think it’s comforting for you to know that the fuel you are using is safe for the environment. Serving our customers. Caring for the environment. 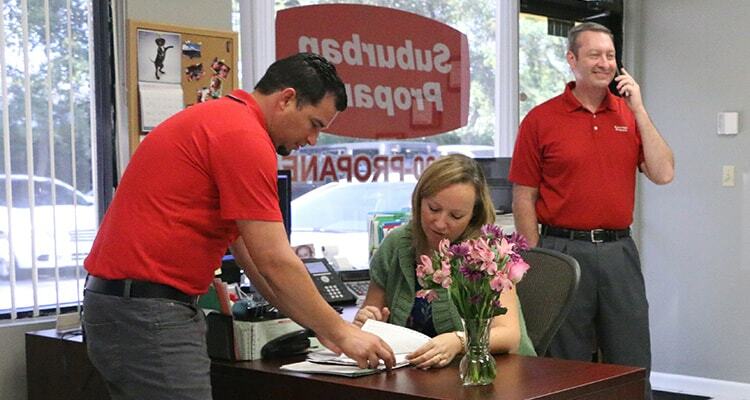 That’s the way we do business at Suburban Propane.